The 2001 CARDINAL 29RLB-LX fifth wheel travel trailer/camper. 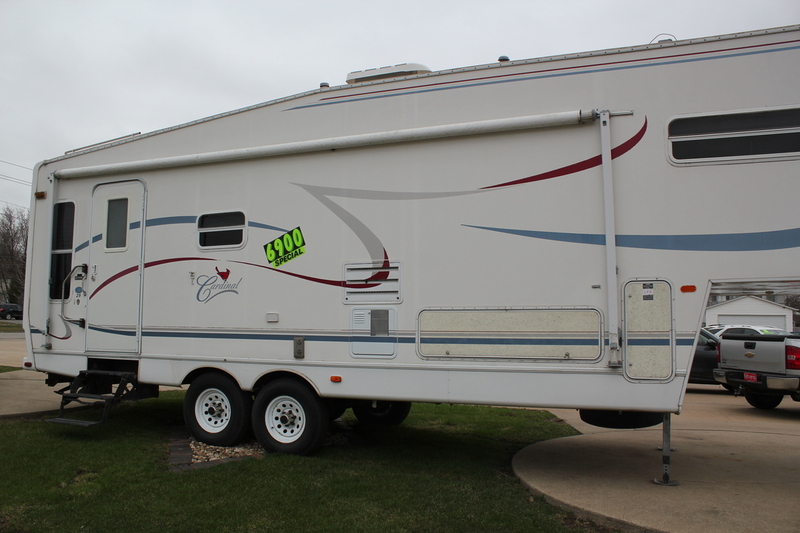 This 29' camper is ready for your camping season! It features a queen berth, a compartmentalized 3/4 bath, a 4 place dinette set, and carpeted floors. The galley has a 3 burner LP stove top, microwave, and double sink with hardwood flooring. There is a full size hid-a-bed, 2 chairs, storage and closets everywhere, and a 20' exterior awning. Stop in and begin your family memories today. Call C & S Car at 319-291-7321.